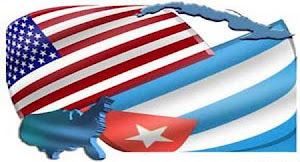 The summer of 2012 will be remembered as another one filled with disappointment and hypocrisy in the realm of U.S. Cuba relations. Nothing has changed really. And that’s the problem. This summer saw the tragic death of reformer Oswaldo Paya, who fought to change Cuba from within its system. He was against the embargo and travel restrictions and did not accept U.S. funds to support his work. Yet none of the U.S. politicians who mourned his death ever followed his advice in life. And now while Cuba is currently facilitating peace talks between Colombia and the FARC to bring an end to decades of that conflict in Latin America, we still have the arrogance to call Cuba a “State Sponsor of Terror”. The hardline Cuban Americans in Congress have made a mockery of that designation turning it into a political instrument instead of a true security measure. This designation is the driving force behind things like the high cost of telephone calls to Cuba averaging over $1.00 per minute, among the most expensive rates in the world (details about this are in this blog's archives). The travel situation to Cuba today grows more complicated and expensive. Who would ever think that a 45 minute flight from Miami, Florida could now cost between $450-$600 for Americans, and well over a $1000 for Cuban Americans (when you add the costs for a Cuban Passport and keeping it in force)? Now when you arrive in Cuba, you may be subject to new Cuban Customs import taxes and baggage weight controls that can cost you as much as the entire ticket! Traveler beware… The bottom line is that the legal traveler must be informed and have sufficient funds to cover these costs. The consequences of these factors will actually deter travel to Cuba, and that only hurts those with family and relatives. While the new Cuban Customs import taxes may deter individuals who made a business out of being “mules” to deliver hard to find goods to Cubans, it is also going to make it more expensive for Cubans with new small businesses that depend on imports to support them. How will they cope with this new reality? For the People to People license travelers, it appears a bureaucratic stalemate is in place. Licenses are essentially not being renewed. OFAC is not providing much of an explanation other than generalities why renewals have slowed to a snail's pace. No one from Congress is stepping up to question OFAC’s rationale either. That should be a wake up call to the pro-travel side. So while the People to People category still technically exists, the reality is there is going to be a lot less travel to Cuba for the time being. We have also experienced the Republican and Democratic Presidential nominating conventions. What missed opportunities! Nothing has changed there either. The Republican and Democratic Party platforms on Cuba are essentially the same tired old rhetoric, one being a tad softer than the other. Reports of a lone activist at the Tampa, FL GOP convention facing down pro-embargo interests and the symbolic lone Democratic activist waving a “We Demand Our Right to Travel to Cuba” sign on the convention floor in Charlotte, NC that made it on CSPAN was about all the pro-travel side could muster. Was this really the best the pro-travel side could do politically after more than ten years of fighting this issue? There were complaints about OFAC, calls for petitions, and articles suggesting that now was the time to change U.S. Cuba policy. As if there has not been good times to do so over the last decade? Meanwhile the pro-embargo hardliners continue to do their basic skills political work, organizing and expressing themselves as a cohesive voting bloc and raising political money to keep their allies in office and elect new ones. Election Day is two months away. You see right now is the time to create and elect new allies to work for change on this issue in the Congress. The question for the pro-travel/pro-engagement side of the U.S. Cuba issue is this – are you truly committed to changing the law and the policy? The laws will not be changed through petitions, articles, or complaints about OFAC. The law will only be changed when there are actually lawmakers in office who believe in this issue and will vote to change it. So where are they? Where are the Members of Congress who will be willing and courageous enough to face down the arrogance and ignorance of the pro-embargo legislators in the committee rooms and the floors of Congress? There really aren’t any but a small handful. And even they are not totally committed because the pro-travel side is not either. Well if you are going to have politicians support your side of an issue, you have to support them and elect/re-elect them first. If the pro-travel side does not organize itself into a cohesive voting bloc and raise money to engage in political action will the law and policy ever change? The answer is NO. There is a saying about political strategy, “You don’t bring a knife to a gunfight”. That wisdom ought to be embraced. Here is the irony. The pro-travel side actually outnumbers the pro-embargo hardliners, both in number and potential financial resources. There is a false belief that the pro-travel side does not have the wherewithal to do the actual political work required to get the job done. You see, U.S. Cuba policy is actually more a political issue, than a policy issue. Everyone knows that the policy stinks and should be changed. However, the politics reveal it is also still rich with votes and money from those who want to keep the status quo. And that is what gets politicians into office and keeps them there, our votes and our contributions. A friend of mine commented that the pro-travel side may not really be so committed to the goal because many who are involved have a financial stake in keeping the status quo. They could not be fully committed because by resolving the issue once and for all would also mean the loss of financial support for the very same cause to fight these now going on for more than a decade. The embargo and travel restrictions are a big business for a handful of interests. Some on all sides are making a lot of money off this crazy situation. That analysis does give one pause, because you do have to wonder, if there is a set way to achieve a goal and you deliberately choose not to follow the rules towards achieving that goal, then just how committed actually are you to the goal? It is not rocket science either, when you see how the pro-embargo side plays the political game in the most elementary way and have the results to show for it in elected members and supporters in Congress. Another individual commented to me privately that they do not want to get involved at the political level but that they are still committed to the goal of ending the travel ban. I reminded this person that this perspective is counter-intuitive. I was told it was better for Members of Congress to hear from their “constituents” on this issue and that our electoral system is dirty concerning money and influence. I reminded this person that the political system we have, which is a privately financed election system, gives preference and priority to the concerns of voters and donors, and especially to the individual who happens to be all three - a voter/donor/constituent. It is that simple. You see the highest form of political commitment is expressed by becoming a voter and or a political donor on any issue that matters to you. You do not even have to make a large contribution to show that you are committed to your issue. Actually, politicians understand the commitment to a cause with a large contribution that came from a pool of small donors, instead of from one wealthy donor. Money is the gauge for the level of political interest in an issue. For the last decade, the only measurable level of interest has been in keeping the travel restrictions and the embargo in place. The problem is the pro-travel side is not putting up any substantive political money when they could and choose not to. Here is an example. There is a social media page devoted to lifting the travel ban, with more than 30,000 individuals who support it. If each of those 30,000 supporters contributed the price of two movie tickets, say $20, there would be significant political funds to make a difference in the upcoming November elections and into the 2014 congressional elections. Furthermore, while having a popular social media page is good for a cause, it can be also be a vehicle to organize voters into a cohesive voting bloc. These are just two of several opportunities out there to actually change the political conversation about U.S. Cuba policy with less than 60 days to go to Election Day. Unless and until there is genuine political action, the travel ban and embargo will continue to be the law of the land, no matter how stupid or repugnant those policies may be or how many times it is communicated through any media. It is terrible that President Obama is stalling on the renewal of people-to-people licenses for some US travel agencies. Media reports on this situation have caused enormous confusion. Most people think that legal Cuba travel for Americans has ended. This is not the case. Many licenses remain available.